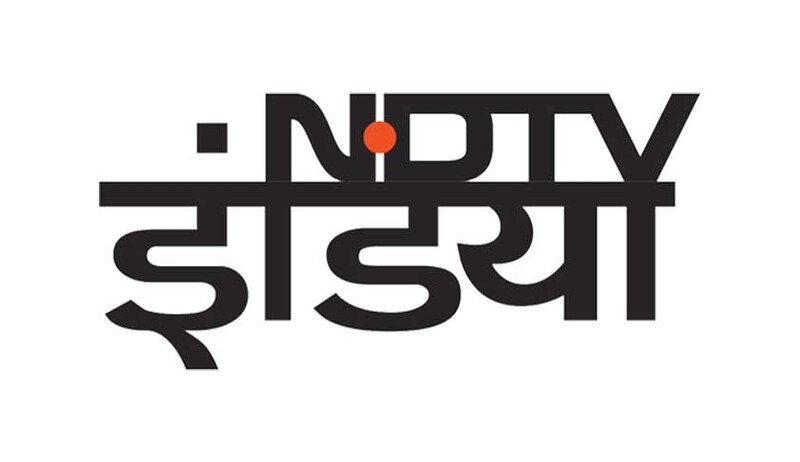 The ban on the telecast of the programmes of the television channel, NDTV India, for one day, has led to a huge uproar, involving freedom of expression, and the right to practise any profession, or to carry on any occupation, trade or business, as guaranteed by the Constitution, and the reasonableness of the restriction imposed on it, on the grounds specified in the Constitution. Livelaw explains here the nuts and bolts of the ban imposed on the channel, and the legal remedies the channel has, to challenge the ban. When was the order issued, by whom and what does it say? The order was issued on November 2, by the Union Ministry of Information and Broadcasting,(MIB) after considering the recommendation of its Inter-Ministerial Committee (IMC). It begins with the allegation that NDTV INDIA channel telecast news report on Pathankot terrorist attack on 4.1.16 at 12:25:46 - 12:31:25 hrs while the anti-terrorist operations were still underway. What exactly the report telecast by the channel said? The anchor of the channel narrated that a short while ago, some minutes ago, a press conference had been held by the NSG, Army and Airforce in which it was clarified that everything was safe and the operation was still on; killing of only 4 terrorists had been reiterated; and it was also told that the aim of the terrorists was to destroy the military helicrafts, helicopters, MIGs which were available there. Further, a crucial piece of information had been given out that there were two terrorists who could be hiding in the two-storied building situated in the area meant for Airforce personnel and who had been cornered there. The anchor then contacted the correspondent for further information. The correspondent gave away the information in Hindi, which has been reproduced in the order. Then the anchor asked the correspondent as to how much time would be taken to finish such kind of operation in a big airbase, to which, the correspondent divulged sensitive information (reproduced in Hindi). Then the correspondent further recounted that as per Army, the remaining two terrorists had been cornered in a small area, in a building and who would be killed soon, or say, would be eliminated in a blast; but it would not be so simple; and thereafter, it would be declared when the operation would be over and when the entire area could be sanitised; every inch could be sanitised; and there is no chance that any terrorist would be alive; at this point, the anchor posed another question in Hindi, and the correspondent too answered in Hindi, which are reproduced in the order. What does the order allege specifically? It alleges that while reporting on the operation, NDTV India gave away information on the ammunition stockpiled in the airbase, MIGs, fighter planes, rocket launchers, mortars, helicopters, fuel tanks which was likely to be used by the terrorists themselves or their handlers to cause massive harm not only to the national security, international standing of the country but also life of civilians and defence personnel. Another allegation is that the channel also gave details of school and residential areas located in the airbase which could have been used by the terrorists or their handlers to cause violence to the innocent lives in the school and the residential area. “Telecast of such strategically-sensitive information was also likely to be used by the perpetrators to put impediment in the counter-operations carried by the security forces”, the order says. Lastly, the order alleges that the aforesaid news report appeared to violate Rule 6(1) (p) of the Programme Code under Cable TV Network Rules, 1994. What does Rule 6(1)(p) say? No programme should be carried in the cable service which contains live coverage of any anti-terrorist operation by security forces, wherein media coverage shall be restricted to periodic briefing by an officer designated by the appropriate Government, till such operation concludes. Explanation: For the purposes of this clause, it is clarified that “anti-terrorist operation” means such operation undertaken to bring terrorists to justice, which includes all engagements involving justifiable use of force between security forces and terrorists. Was the NDTV India given an opportunity to defend itself before the ban was enforced? Yes. A Show Cause Notice (SCN) dated 29.1.16 was issued to NDTV India asking it to show cause within 15 days from receipt of the communication as to why action as per the provisions of Uplinking/Downlinking Guidelines, the terms and conditions of the permission granted and the provisions of Section 20 of the Cable Act should not be taken against it. How did NDTV India respond to the notice? The channel, vide its letter dated 5.2.16, submitted that its coverage of the Pathankot terrorist attack was entirely balanced and responsible, even in this particular broadcast. The channel explained that at a time when certain sections of the media were questioning the delays in the counter-terrorist operations, their correspondent was explaining why it was necessary for the security forces to go slow, so as to not endanger innocent civilians and the defence assets in the airbase; their entire coverage was deferred right from the first day, to ensure the terrorists or their handlers could not use any information coming from the media; that NDTV was committed to the highest principles of journalism and they maintained that their coverage of the attack conformed to their strictest norms. What was NDTV India’s response to specific allegations regarding sharing of information on arms, ammunition, aircraft, etc.? NDTV India clarified that this information was clearly in the public domain, and was reported by several newspapers on both January 3 and 4, much before the broadcast on NDTV India. What about sharing the information about residential areas and schools? What was the channel’s defence on this question? The channel has clarified that the anchor did not mention any specific details about any residential areas or any school in the airbase; in fact, the anchor used the words “perhaps/possibly” while talking about schools, which shows that nothing specific or strategically sensitive was being broadcast; in fact, official sources from both the government and the armed forces had been supplying many more details to correspondents, none of which was broadcast on NDTV India; on the other hand, details of how the terrorists had entered civilian areas were already available in the public domain before this particular broadcast, NDTV India claimed. In conclusion, NDTV India claimed that this was a case of subjective interpretation and had requested the Ministry to view the news reportage from the perspective as elaborated above, and requested to vacate the SCN. Were the NDTV India representatives given a personal hearing by the Ministry? Yes, they were heard personally before the IMC meeting held on July 25, to present their position. At the personal hearing, did the Ministry pose any specific question to the NDTV India’s representatives? Why was the Ministry dissatisfied with the channel’s reply? Yes. The IMC asked the channel representatives to clarify how they asserted that the information given out by the TV channel in real time (considering deferred telecast as claimed by the channel at roughly 12.25 pm on 4.1.16, minutes after the official briefing by authorised officers which took place from 12.12 pm to 12.22 pm), was already in the public domain, particularly in press and on websites. The Ministry claimed that from their own reply, it was clear that information about the location or the expanse and assets of the airbase were given in bits and pieces in various media. However, NDTV India appeared to give out the exact location of the remaining terrorists with regard to the sensitive assets in their vicinity when they telecast in real time, the Ministry alleged. The IMC denied that the at the press briefing conducted by the DIG/NSG, Air Officer Commanding and Indian Army, had given out the location of the terrorists in the manner telecast by the NDTV India. So, the IMC concluded that the information given by the channel, while the operation was still underway, was neither based on nor limited to the information given in the media briefing by the designated officers as required under Rule 1(p). The reasoning of the IMC is that the coverage of news by TV channels cannot be justified on the grounds that such news was also carried by the newspapers. How is the TV different from the print, as far as the Government’s order goes? “Unlike print, TV is an audio-visual medium, which have a far wider and instantaneous impact. Hence, disclosures of vital information on national security-related issues on audio-visual medium, while anti-terrorist operations are on, has several ramifications, for example causing alarm and demoralization of the citizenry and security forces, causing grave apprehensions to the parents and families of those who are actually in the combat zone and possibility of collateral damage on the critical assets including human lives in the combat zone/affected areas”, the order said. Audio-visual medium conveys in a little time what a newspaper report would not be able to explain even in four columns. The reach of satellite TV is so wide that it goes beyond physical borders and crosses language barriers. On such a powerful medium, the responsibility which rests is immense, the order explains. How did the Government differentiate TV from the web? The accessibility and reach of web content is also substantially different and unmatched as compared to TV, the order said. What about the ground that other TV channels were equally guilty, but were not touched by the Government? The IMC noted that the coverage by other TV channels on the issue as cited cannot be mitigating grounds for making public, vital information through NDTV India TV channel’s near-live coverage during the anti-terrorist operations. What was the IMC’s conclusion? The IMC said that the channel refused to appreciate that by their very act, they had exposed the security forces and the civilian residents to unnecessary risk, caused panic among public and pushed them to the brink of possible destruction. It can’t be ruled out that the handlers would have passed on such vital information of their location to the surviving terrorists, which had the potential of changing the very course of the operations in their containment. “If the terrorists had indeed reached the ammunition depot or the fuel tank, they could have caused destruction of unimaginable proportions. This had been stated by their own correspondent during the impugned telecast, yet the channel appeared unrepentant,” the order said. Is the punishment in accordance with the rules? The IMC claimed that it followed Clause 8.2 of Uplinking Guidelines, which enables the MIB, to impose , in the event of first violation, suspension of the permission of the company and prohibition of broadcast/transmission upto a period of 30 days. Although the rules say that the channel could be taken off-air for 30 days, the Government has imposed only a token punishment. How did it justify it? The IMC did suggest that taking the channel off-air for 30 days would be justified. However, the MIB informed the IMC that Rule 6(1)(P) had been introduced only in June 2015 and the Ministry had issued some advisories to all news television channels to comply with it. IMC, however, argued that the channels had already been sensitized enough about the rule position in the earlier instances, but they cannot continue to flout the rule with such impunity, and risk the very security of India. However, IMC, considering that this is the first instance of such a punishment being imposed on a channel for the violation of the newly inserted provision in the Programme Code, decided not to make a recommendation which could be considered very harsh. IMC, therefore, recommended that at least a token penalty of one day’s off-air needed to be awarded to the TV channel so that they do not get away completely for this huge indiscretion and violation of specific rule or guideline relating to national security concerns. “This is the minimum penalty that must be imposed on the channel for their transgression coupled with their unrepentant demeanour as noticed during the meeting of IMC”, the order reads. Prohibition of transmission/re-transmission of NDTV India channel on any platform throughout the territory of India for a period of one day with effect from 00:01 hours on November 9 till 00:001 hours of November 10, 2016. Will the channel have a good case to challenge the ban in the court? It is expected that the channel will move the Supreme Court, and seek a stay on the order, at the first instance, and simultaneously challenge its legality, saying it cannot constitute a reasonable restriction under Article 19(2) on the freedom of expression guaranteed under Article 19(1)(a), and the freedom to practice any profession, or to carry on any occupation, trade or business, as guaranteed under Article 19(1)(g).